After Airtel and India Post, Vijay Shekhar Sharma's digital wallet firm Paytm has become the third entity to launch a payments bank. Paytm Payments Bank Ltd, which got delayed by almost a year, is set to go live today on a select, invite-only basis. “In the first phase, we will roll out the beta version of the banking app for our employees and associates,” Paytm said in its blog post. Paytm customers can request an invite by going to www.PaytmPaymentsBank.com, or avail of one on the Paytm iOS app. Paytm will launch the first branch of the payments bank in Noida today. The bank plans to expand its presence to 31 branches and 3,000 customer service points in the first year, the blog stated. “We are proud that our customer deposits will be safely invested in government bonds, and be used for nation building. None of our deposits will be converted into risky assets,” said Paytm founder Sharma, who also serves as the bank’s chairman. Paytm Payments Bank is offering customers an annual interest rate of 4%, much lower than the 7.25% offered by rival Airtel Payments Bank. It will, however, also offer cashback on deposits. “Every customer who opens a payments bank account and has a deposit of Rs 25,000 will get cash back of Rs 250 instantly. Accounts can be opened with a zero balance. All online transactions will be free of charge,” the company added in its blog. Paytm said it is also setting up centres across India for customers to get their KYC done and make themselves eligible for a payments bank account. As a payments bank, Paytm can now accept customer deposits up to Rs 1 lakh per customer in a savings or current account and offer other banking services like debit cards, online banking and mobile banking. Payments banks cannot offer financial products of their own but have to partner with other banks to do so. “Paytm Payments Bank will soon enable you to access a range of financial services such as insurance, loans, and mutual funds offered by our partner banks,” the company said. 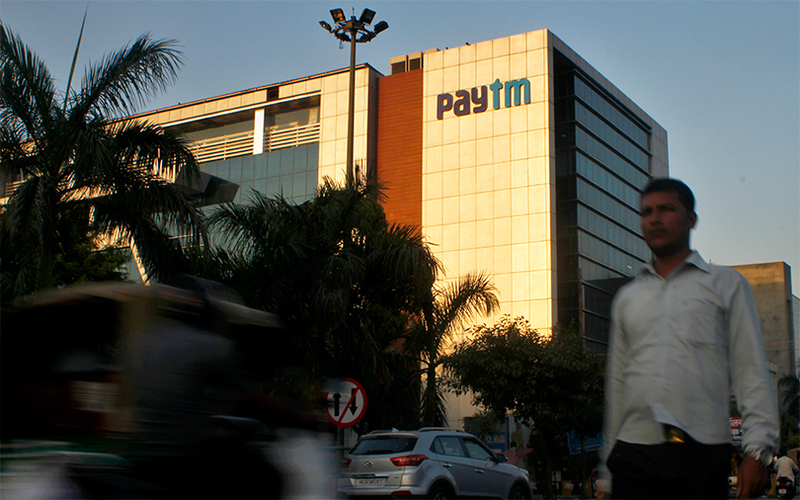 Recently, Renu Satti, a long-time executive and vice president at Paytm, was appointed as the bank’s chief executive, replacing former Reserve Bank of India executive Shinjini Kumar. In one of the largest funding rounds from a single investor in India, Paytm raised $1.4 billion (about Rs 9,000 crore) from Japan's SoftBank Group. The funding will help Paytm expand its user base and build a suite of financial services products, the company said. To comply with RBI guidelines, Paytm will transfer its wallet business to the newly incorporated Paytm Payments Bank Ltd. All active wallet accounts on the Paytm app will be moved to the payments bank. In August, the Noida-based company created two separate entities—Paytm E-Commerce Pvt. Ltd and Paytm Payments Bank Ltd—to run its e-commerce and banking services, respectively. Paytm Payments Bank, which missed its original launch deadline, had been awaiting RBI’s final licence. According to media reports, the banking regulator had some concerns around its ownership structure. Sharma will hold 51% stake in Paytm Payments Bank as the licence was issued in his name, while One97 Communications will hold the rest. Sharma and One97 Communications have together invested Rs 220 crore in the payments bank to date. Sharma has put in Rs 112 crore, according to media reports. For this, he also sold a 1% stake in the digital wallet’s parent firm One97 Communications to raise nearly $48.1 million (Rs 325 crore). The other applicants for payments bank licence are Aditya Birla Nuvo Ltd, FINO PayTech Ltd, National Securities Depository Ltd, Reliance Industries Ltd, and Vodafone m-Pesa Ltd.